A fire broke out on one of the wards in the early hours of this morning. 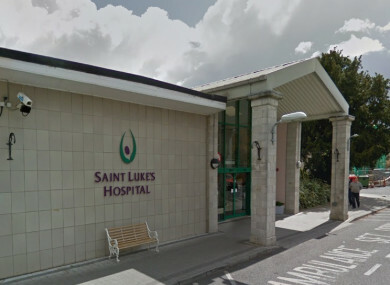 A NUMBER OF cancer patients from St Luke’s Hospital in Rathgar, Dublin have been taken to hospital following a fire on one of the wards in the early hours of this morning. Dublin Fire Brigade confirmed to TheJournal.ie that it received reports of a fire at St Luke’s Hospital at approximately 5.30am this morning. Three of the patients were taken to other hospitals with injuries associated with the fire, one with burn injuries and two for smoke inhalation. A number of units responded and the fire was extinguished. “The fire was contained to one room. The unit remains operational and patients have been accommodated elsewhere on the ward. Email “Three patients taken to hospital after fire on a ward at St Luke's Hospital in Dublin ”. Feedback on “Three patients taken to hospital after fire on a ward at St Luke's Hospital in Dublin ”.